The SID (Society for Information Displays) conference is the leading Display trade show, and SID 2010 will take place towards the end of May (23/5 till the 28/5). What can we expect from this show? SID is not a consumer oriented show, and usually companies do not show new products - so we don't expect any new phones or an OLED TV. But we do hope that some companies will show us new medium/large OLED panels that are ready for production. 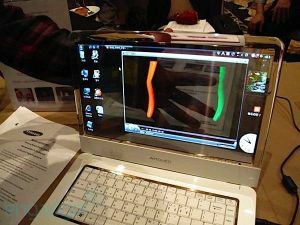 OLED was one of the most talked about technologies in past SID events, and we hope this will be true for 2010 also. There are dozens of planned sessions dedicated to OLEDs, talking about OLED materials, OLED Lighting, OLED devices, transparent OLEDs, flexible OLEDs and more. We'll be happy to hear about Samsung's transparent OLEDs - not only new prototypes and technical achievements, but commercialization news as well (about that AMOLED laptop perhaps?). We'll also be interested to hear news from Sony, who seem to be back into OLED production. We're sure to hear a lot about OLED Lighting, which seems to be advancing quickly. Flexible OLEDs (on plastic or metal substrates) is also something that a lot of companies are interested in. 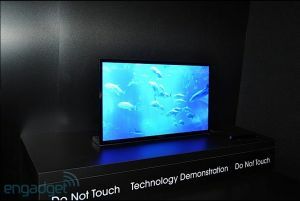 Several companies are working on white-OLEDs as a backlight for LCD TVs - this old idea seems to be coming back to life. LG Display will be showing a 15" TV using such a design, which they say have a 130,000 hours lifetime (at 1000 nits). Other interesting technologies discussed will include 3D Displays, Pico-Projectors and e-paper displays. What can we expect from CES 2010?